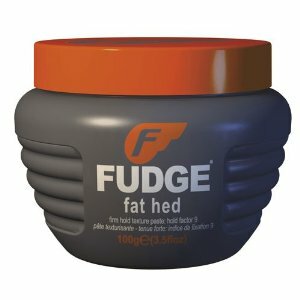 My stylist recommended Fudge Fat Hed to me after I complained that my hair grew too quickly and most gels or waxes wouldn’t hold the spikes in style for an entire day without reapplication. Although he could have palmed a number of products off on me at an over-inflated price his recommendation was taken a touch more seriously because he wasn’t trying to sell me any! At that time I walked out of the salon with the thought in mind and within 10 minutes completely forgot about it until I came across a website selling it. The price initially had reeling, just under £10 for a 75ml tub, some four times the cost of Shockwaves gel. However, as they say, nothing ventured, nothing gained. Originally a product released for the Australian market, Fudge have only really hit the mainstream in Europe over the past 10 years. The product itself can only be described as a paste, as it has neither the consistency of a gel or wax and comes in a very unique grey tub with bright orange lid. As far as products like this go I quite like the packaging as the tub is very easy to grip thanks to the ridges in the sides and if I was looking for it in a supermarket or salon wholesalers it would be very easy indeed to spot amongst the other brands. I was very keen to give the paste a try and so dutifully went and washed my hair, dried it and unscrewed the lid to the tub to be greeted with an absolutely delightful sickly sweet smell of caramel, an aroma I adore, so much so I spent 5 minutes with the tub to my nose inhaling deeply and imagining large vats of liquid fudge and caramel in a sweet factory. If I personally had to rate the smell in comparison to other haircare products it would get a 10 for being so original whilst other brands such as Shockwaves, L’Oreal and Brylcreem would score five or below as they all just tend to have clean and clinical fragrances. If you are not a big fan of the smell of caramel with faint hints of fudge, this product certainly is not for you. After finally deciding it wasn’t right for a grown man to be sat around sniffing a haircare product I scooped the paste out of the tub using two fingers, only removing enough to cover both fingertips and massaged it between my palms before running my hands through my hair and gently working it into each strand. The consistency when removed from the tub is as I say like a paste but as soon as it is rubbed between the palms it seems to take on more of a gel like form making a little really go a long way. Application could not have been easier thanks to the change in consistency and it was simple to get even coverage and my fears that bits of the paste would be stuck to my hair were unfounded. Once it has been worked into dry hair it is just a case of styling and as a note of caution, don’t hang around to start doing this as it dries very quickly. For me, the fact that it completely dries within 4-5 minutes means that I don’t have to wait around to make sure that there has been no movement in the spikes I have styled. As soon as the paste is totally dry my hair is left with a textured feeling and looks remarkably shiny, something I hadn’t expected from a paste. I was expecting it to look similar to how wax leaves my hair but was impressed that it has more of a gel effect. Once dried my hair felt rock solid and my hair didn’t move an inch, even if I jumped up and down. At that point in time the spikes in my hair were about 1.5 inches long but even with spikes up to 3.5 inches long there is still no movement once the paste has set and this for me is fantastic. I no longer get to work and look in the mirror to find my spikes have blown out of place or have just not set properly. As for longevity again I could not be more pleased. I have an annoying habit for messing with my hair which when using gels results in dry flakes of gel and the style wearing off quickly, a problem I no longer have. A style created at home at 8 in the morning is exactly the same at 8 at night. Fantastic. When it comes to removing the paste from hair you will not experience any problems, something I have had issues with in the past with a number of waxes. A good massage of the hair under a warm shower and the paste is washed out completely. I say warm, as I’m sure most readers would be concerned by the fact that rain may wash this out, it doesn’t. It will damage the style and result in the need to restyle but it will set as soon as you are in a dry environment. 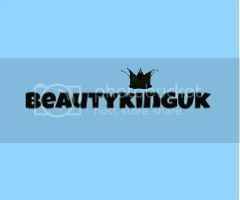 Overall I was a little upset by the price but find that as it lasts for at least 6 months, a period in which I would probably use 3-4 tubes of normal gel it isn’t that expensive and only works out at around £2 more expensive than the brands that I used to use. So, when you take the economics into account, the fact that it smells lovely and performs to such a high standard without leaving you self-conscious of those flakes from dried gel this is a product I would heartily recommend.